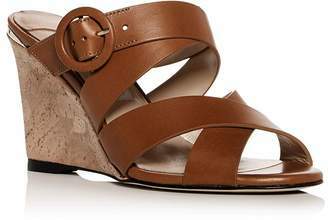 A slim platform and lofty stiletto heel add leg-lengthening lift to a minimalist Italian sandal crafted from liquid mirror leather. 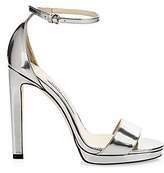 Liquid mirror leather upper Open toe Adjustable ankle strap Buckle closure Leather lining Leather sole Made in Italy SIZE Self-covered stiletto heel, 4.75" (120mm) Platform, 0.75". 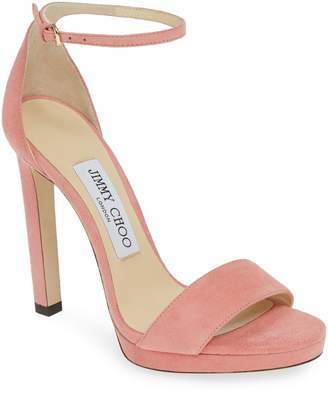 Women's Shoes - Jimmy Choo Womens Shoes. 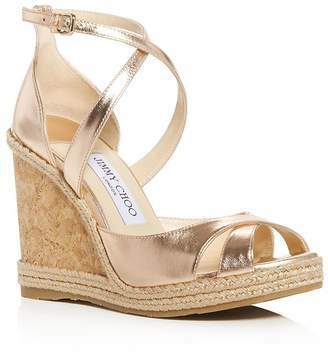 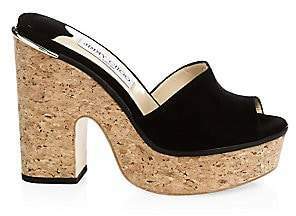 Jimmy Choo. Color: Silver. 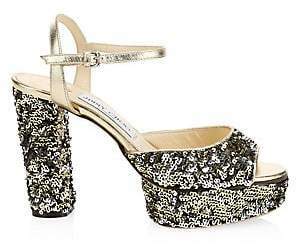 Size: 41.5 (11.5).